I’m so pleased to have been nominated for the Sunshine Blogger Award. A big thank you to Susie at susieshy45 for nominating me. Here’s the link to Her Blog, which I know you’ll want to visit, because she epitomizes all that the award stands for. From my understanding (and with a little help from my friend Google), the Sunshine Blogger Award is for those bloggers who are inspiring and bring sunshine into the lives of their readers and fellow bloggers. In other words, those who positively and creatively inspire others in the blogosphere. Well, I’m flattered to think that Susie thought me worthy! Thank you again, and my apologies for having taken so long to write this post. Ask the nominees 11 questions of your own. What is your favourite colour? Probably burgundy. I love its dark rich tones, especially when teamed up with dusky pink or salmon, with just a hint of pearl or gold. Does the colour of your clothes reflect your mood for the day? Not really. I’m quite pale so most of my wardrobe consists of muted colours, I wear a lot of deep pink, turquoise, dark green, blue and grey. Not all at once, obviously! What do you do when your mood is off-the-mark? I try to exercise patience, button my lip and pour all my energy into writing instead. Why do you blog? I’m a writer so I express myself better when writing than when speaking. My thoughts arrange themselves into a more manageable order when they’re written down. I also blog because I like to engage with other writers and potential readers of my novels. What sort of blogs do you like to read? Entertaining, amusing, well-written or heartfelt. Not only blogs about writing, but about anything I find that inspires me – travel, life on farms, interesting snippets of history, quirky ways of looking at life. How do you select the blogs you would follow? Sometimes when a blogger I already follow re-blogs another blogger’s work, or if I’m intrigued by a comment on my own or someone else’s blog I will click on their name to see what else they’ve written and if I like them I’ll follow them. Does offensive language on a blog post put you off? I’m not necessarily offended by it when it’s spoken by someone who is angry or upset, in the heat of the moment, but when it comes to the written word I think that writers are more than capable of finding a better way to express themselves. Write when you’re angry by all means, but don’t press “publish” until you’ve calmed down and edited it properly! What would romance mean for you? Ha – there’s a can of worms right there! I’m a romance writer so I see the potential for romance in almost any situation. Write a small poem about yourself: Don’t hold your breath waiting for this; I’m no poet. Do you make New Year Resolutions? I used to, but now I prefer to set realistic goals throughout the year. Do you enjoy changes in your life or do you shy away from them? It depends. I’m not an impulsive person and I don’t like nasty surprises, so I think that change just for the sake of change is crazy and meaningless, but a calculated move towards improvement or a specific goal is good. I do nothing without a lot of careful thought and planning. Last year I moved from South Africa to Australia, so that was a huge change in my life, but it was calculated and worked out to the last detail. I don’t shy away from change if I know it’s something positive that I can plan for and treat as a project. Your desired job if salary were not an issue? Country or place you would live if you could, other than where you currently live? Do you prefer indoor or outdoor recreation? What lifts your soul – the mountains or the sea? Is your natural inclination to be a city or country person? Are you a party animal or a curl-up-with-a-book type? What gives you warm fuzzy feelings? I know that some of the above-mentioned bloggers might not accept nominations, but since I find all of them positive, creative and inspiring, I’m mentioning them anyway. If they decide not to accept, that’s absolutely fine. My hope is that at least my readers can follow the links to their blogs and enjoy a good read. Personally, I think the real value of awards is to encourage readers to visit blogs that they might not have visited before. Whichever way you look at it, it’s all part of spreading the love in the blogosphere, and putting a little sunshine into the lives of others. Like most of my novels, this one started with an image, a setting. In this case, it was a picture in a travel book. Even back in 2011 I knew that my next novel would be set in Australia, because that was where my sister had gone to live with her Australian husband. They left South Africa in the middle of 2011 to settle in Melbourne, and I knew that I would follow them within a few years. Which I have now done, but that’s another story, so let’s backtrack a bit. When my only sibling and her husband announced that they were leaving, my brother-in-law knew exactly where they would go – to Melbourne which was where most of his family lived. He had been to visit them there a few years before, but my sister hadn’t. 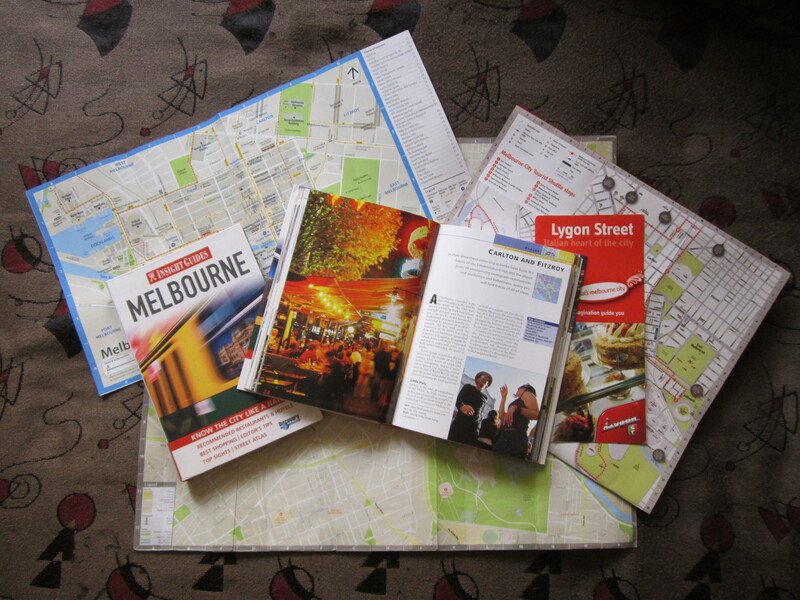 She had no idea what to expect, and for both of us Melbourne was simply a place on a map. As is my inclination when I need to research something, I headed into my nearest bookshop to look for books on Australia and, more specifically, on Melbourne. The book I found was a travel book, beautifully illustrated with loads of photographs of many places – Federation Square, Flinders Street station, the trams gliding through leafy streets, the Puffing Billy train that chugs through the mountainous area known as the Dandenongs, and an array of popular eating places, some of which were in a street called Lygon Street. I realised that Melbourne was a beautiful city, filled with artistic, historical, sporting, culinary and cultural delights, and not some one-horse town in the middle of the vast red desert that made up the Australian outback in my mind. I bought the book and presented it to my sister. The more she read it, the more she discovered and passed on to me interesting bits about her soon-to-be city. Before she left to live there, I bought myself a copy of the same book, so that we could both be on the same page, as it were, when she wanted to tell me about a place she had been to. It helped me to be able to picture her in a place that was accessible to me, even if only by book. Lygon Street covers a relatively small area in Carlton, just north of the city centre, near the Melbourne Museum, but it’s tightly packed with Italian restaurants, Gelateria, fashion boutiques and gorgeous cake shops, interspersed with parks, trees and small lanes. The restaurants sit cheek-by-jowl, with their tables and chairs spilling out onto the pavements, their hosts declaiming about their mouth-wateringly delicious food to all passers-by. My sister found it to be an exciting, unique place on her first visit and, during one of our Skype sessions, told me on which page of our books to find a photo of it. She promised that we would go there when I came out to Australia on holiday. I stared long and hard at the picture in the book, at its neon signs illuminating the leafy green trees spreading above the tables, and the inevitable happened: I began to imagine characters other than us hanging out there. I took my first trip to Melbourne when my sister had been there almost six months, but long before that I had created images in my head of how Lygon Street would look in reality, and how one of my main characters, Bobby, would run a bar set in a basement below one of the many vibrant restaurants there, and he would live… oh, I don’t know – in a house somewhere in the same area. The reality, when I visited it with my sister, was quite different. There were no basements leading down from the street level, but most of the buildings were double storey. There were also plenty of small lanes between buildings, leading to other lanes and what had once been alleys, I suppose, but had been prettified. 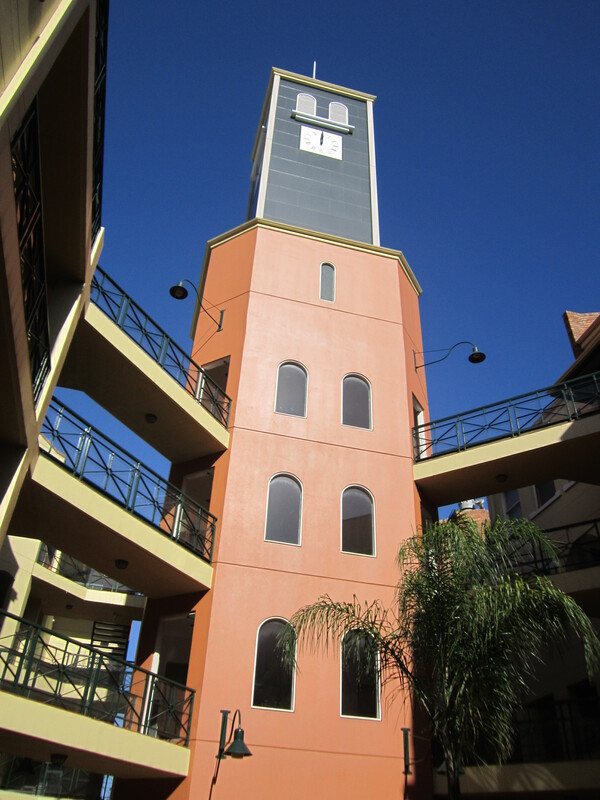 Best of all was a lane leading past a restaurant to an inner courtyard in which we found a modern clock tower and what looked like a set of upstairs apartments. Further in, we found a few gates and garages behind the clock tower, as well as homes above some of the shops. There was a whole world of quaint, attractively painted shops and small businesses rubbing shoulders with private dwellings, and this was just what I needed for Bobby. In my mind I appropriated the restaurant in the lane leading to the clock tower for Bobby’s piano bar, and I gave him an apartment above, overlooking Lygon Street itself. The bar was small, but I needed the apartment to be large enough for Bobby to have a spare room that contained old family junk, so I obligingly created an Italian restaurant in front of the bar and a very large and well organised stockroom behind it, with the apartment stretched luxuriously over the whole lot. I also gave Bobby a hired garage a few lanes away for him to house his car which he doesn’t often use, but does need for one very important trip about halfway through the novel. I’ve been back to Lygon Street many times, and on each visit I check to see that I’m still on track in my imaginary version of it. I usually take more photos too, which is probably silly, but I do like to be able to cross reference things. It’s been a long road, writing this novel. There have been too many interruptions, too much upheaval in my life, but the novel is finally reaching the end of its winding road. All it needs now is a final read, a cover, some formatting for Amazon, and then it’ll be ready to go out in the world and carve its own path.